Rated 95 points. More than 10 years ago Rocky Patel put out a line called the Rocky Patel Sun Grown. Since then, it's become one of his staple brands, but it wasn't until last year that he decided to create a maduro version. Unlike the original line, which is still made in Honduras, the new version is made in Nicaragua at Patel's TaviCusa factory. It's also rolled in a dark, Connecticut broadleaf wrapper. This new interpretation was dubbed the Rocky Patel Sun Grown Maduro, and the Robusto is a great representation of the full-bodied blends coming out of Nicaragua today. The first Sun Grown was a dark cigar to begin with, but this more modern version has surpassed the original in every respect�it's darker, it's stronger and it's more complex. 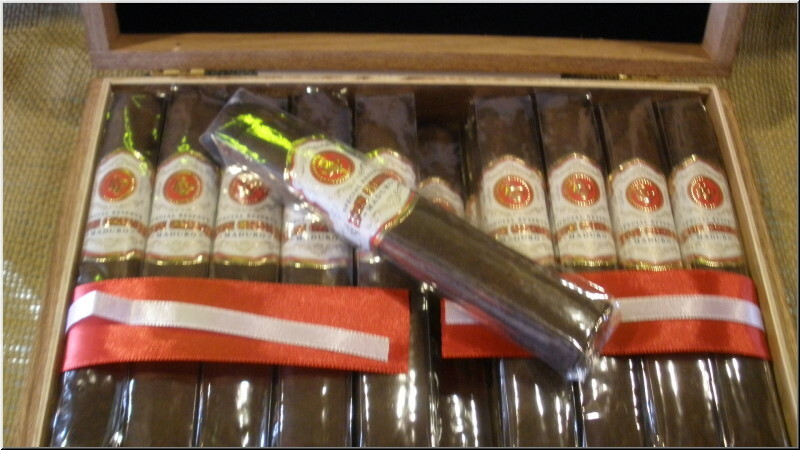 The cigars are also trunk-pressed, giving them an attractive appearance that hints at the bold blend of Nicaraguan tobacco under the broadleaf wrapper�and they harmonize beautifully, imparting earthy, nutty notes and bittersweet chocolate with the sweeter properties of the wrapper.